Discover the pleasant surprise of Little Rock. Enjoy our charming hospitality, sincere service, genuine people and engaging experiences. Let our meeting professionals guide you through every aspect of your event. From beginning to end, we will help you execute a successful and memorable event. that are crucial to planning an unforgettable event. Telecommunications and internet services are available throughout the center, with ethernet and wireless connections in all meeting rooms. Hi-definition monitors throughout the center clearly display meeting information. LRCVB has a staff of highly-trained technical professionals that are qualified to meet your needs. Complete equipment lists are available upon request, and include standard audio visual items such as projectors, screens, audio and video equipment and accessories. In addition, we offer complete production services and staff, as well as making arrangements for specialty equipment. Contact us to discuss the specific needs for your event and receive a quote (501) 370-3245. 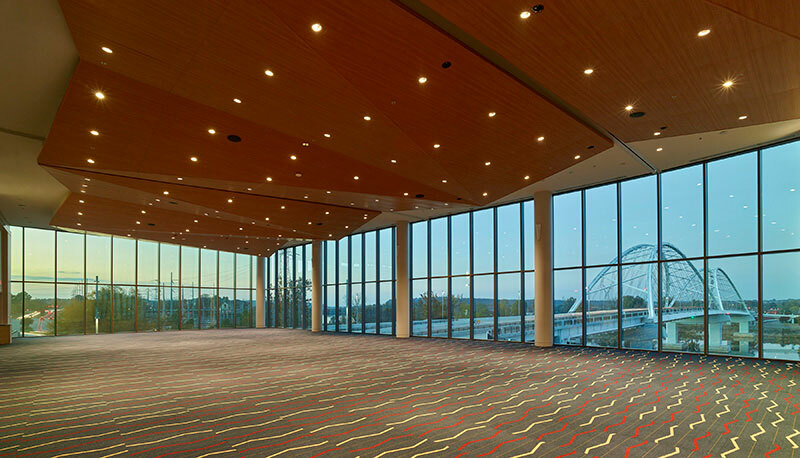 The Doubletree Hotel is the exclusive caterer for the Robinson Center. Their catering department can be reached at 501-508-8145. Event security is an exclusive service of the Robinson Center. Unarmed security personnel patrol all facility perimeters, parking decks, exterior grounds and public areas. Please refer to the operational policy for more details with events. For lost and found, please contact 501-370-3267. LRCVB has a staff of highly-trained technical professionals that are qualified to meet your needs. Complete equipment lists are available upon request, and include standard audio visual items such as projectors, screens, audio and video equipment and accessories. In addition, we offer complete production services and staff, as well as making arrangements for specialty equipment. Audio-visual are not exclusive services of the Robinson Center. For more information and pricing, ask your event coordinator or contact us at 501-370-3245.